For a schedule of our upcoming services including Holy Week and Easter, please click on our EVENTS page. For a more detailed list of our services and upcoming activities, please click on the "Events" tab. Click below to visit our YouTube page where you can view all the recordings of our Sunday services. 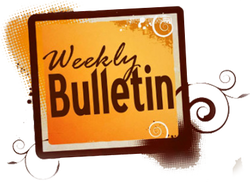 To view previous bulletins and newsletters, please click on the "Archives" tab. Saint John Hattiesburg is a sacramental community for the sake of the City, the Campus, and the World. We take to heart the words and actions of Jesus as reported in the gospel according to Saint John, his epistles, and his revelation. They are promises and deeds that shape who we are, how we regard ourselves and others, and how we are determined to live. It's our discipleship, our definition, and our direction. We want to Love. Like. Jesus. As a sacramental church, we celebrate the Lord's Supper whenever we gather together on Sunday mornings for worship. Our Savior invites those who trust in him to share the feast which he has prepared. In this meal we truly receive the body and blood of our risen Savior, Jesus Christ. This is a great and divine mystery! Here we are joined with God and all the saints, and receive the blessings of forgiveness, life, and salvation. Young children and those who would prefer to receive a blessing are welcome to come forward. The church building is located six blocks east of USM on Hardy Street, near Shipley's Donuts.